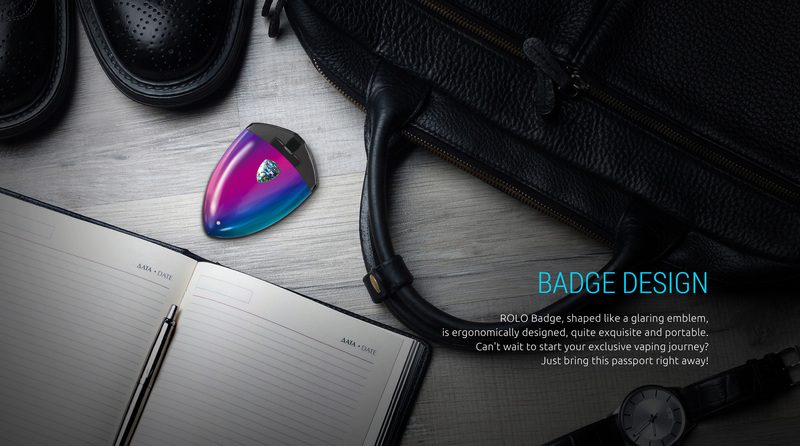 Look at this exquisite ROLO Badge, shaped like an emblem, it is the symbol of identity and honour! 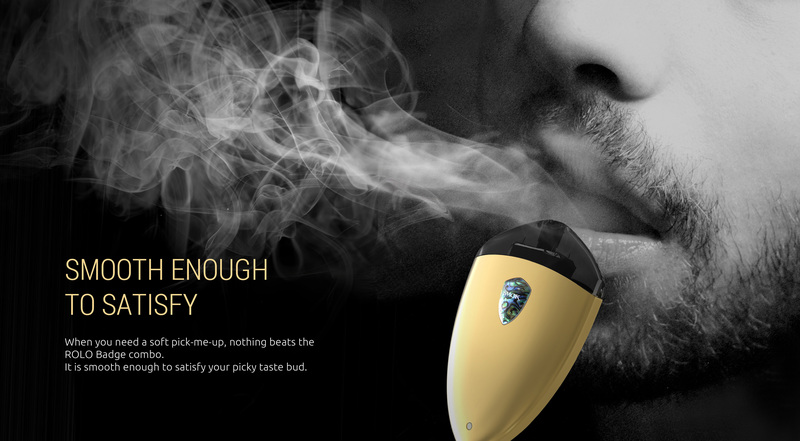 It represents nobleness, elegance and simplicity. 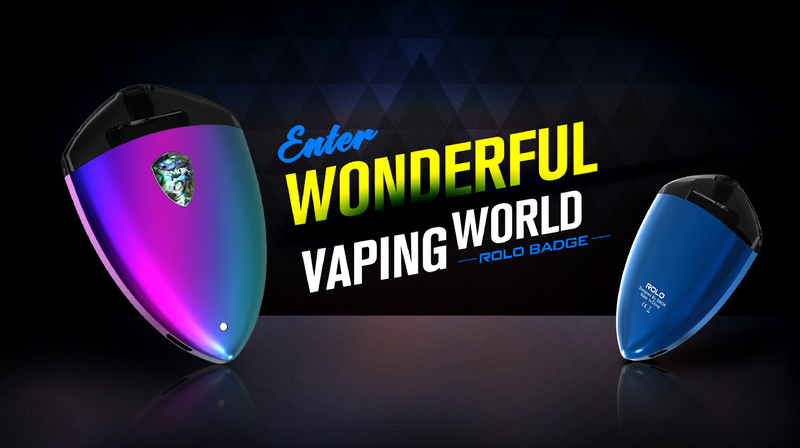 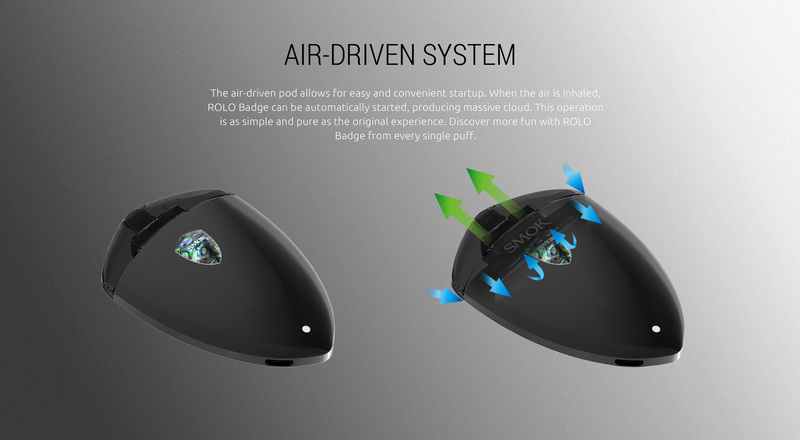 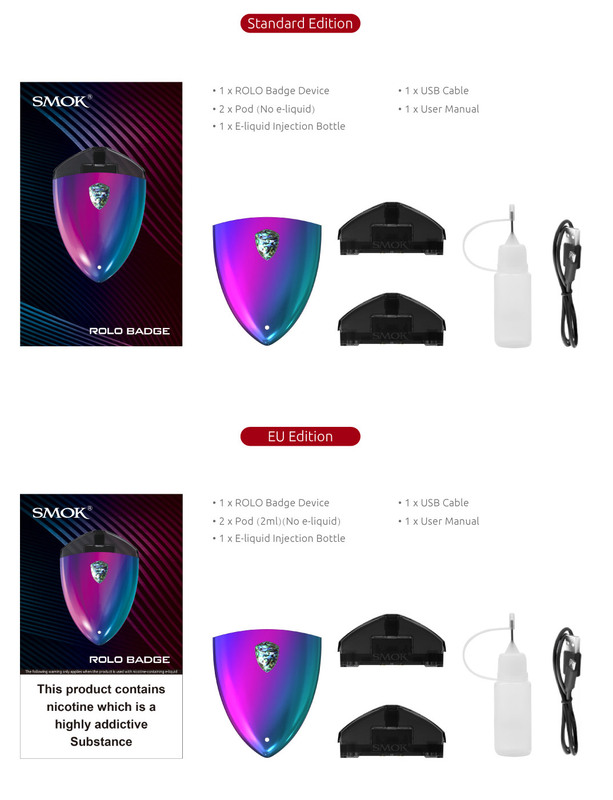 ROLO Badge is your passport to travel around the vaping world. 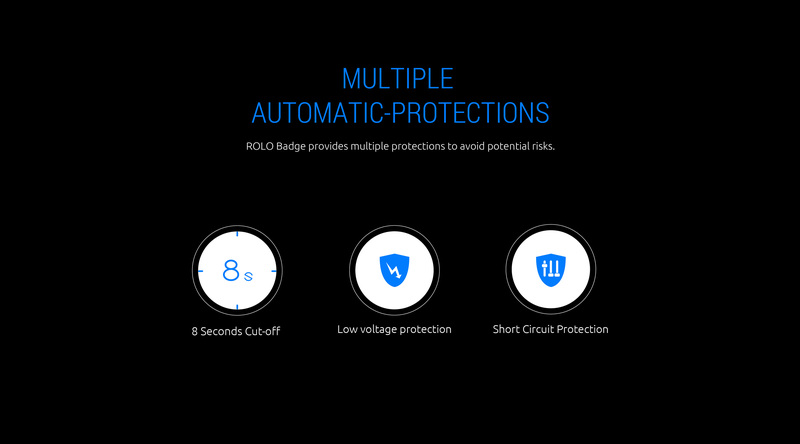 Whether at a casual party, a club, a bar or at family parties, gatherings with friends, or hiking in the country, just show your ROLO Badge. 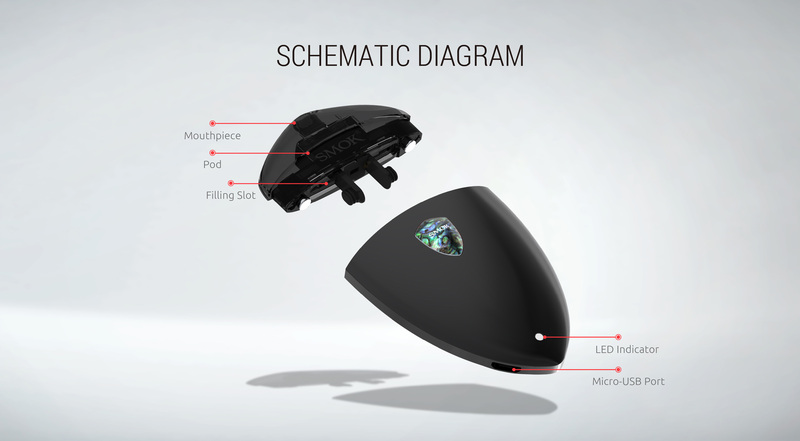 This stealthy device fits into the palm of your hand with comfort. 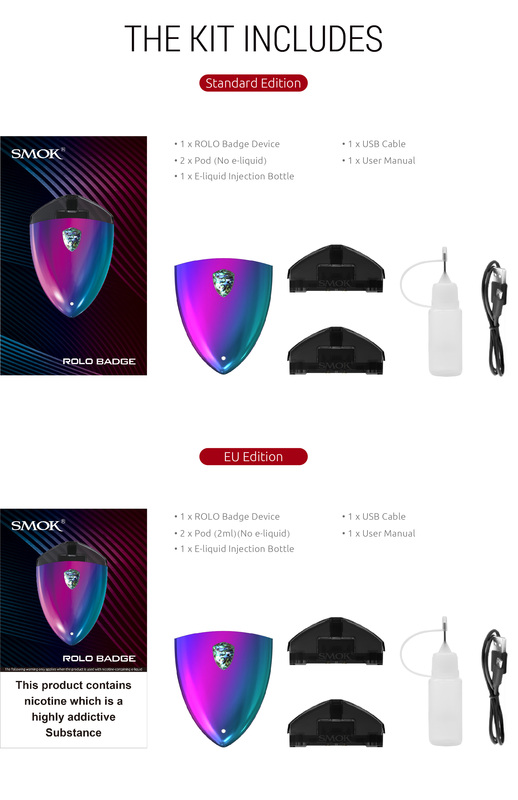 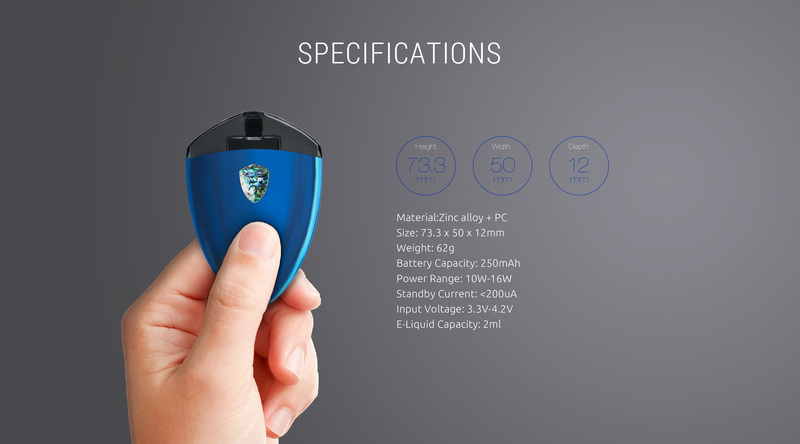 With a weight of 62g, battery capacity of 250 mAh and pod capacity of 2ml, ROLO Badge brings you an unprecedented smooth flavour.